I recently spoke with a friend about ideas on how to connect socially progressive-leaning groups with the freedom groups. And the ever-present issue of C3 and C4 non-profit classifications. You see, non-profits cannot simply share and talk together, they are bound by so many laws and regulations that it requires a whole host of lawyers to keep one’s non-profit status. This is why I want a for-profit charity because paying taxes seems preferable to being told what to do. It’s my brand of Austrian autism. A form of anarchism if you will. If someone says it’s illegal, my practical libertarian kicks in and I want to find a way to say no without breaking things. I believe a lot of things should be legal but I know that they are not. So the trick is to either not get caught or engage in some creative destruction that pushes so far forward that the Pogues haven’t had the time to figure out how to regulate it. Similar to how online stores broke brick and mortar and creatively destroyed physical store business models and evaded state taxes for two decades. We are trapped in a game of what is allowed, what is not allowed, and what has not be done yet. The system cannot condone grey markets because a grey market is something unregulated. All markets must be either white or black, legal and regulated or outlawed and persecuted. The grey market affirms a sneaking suspicion that the regulations are not necessary for a vibrant and safe world. Such a “delusion” cannot be allowed to persist. In truth, we need laws and customs but rarely do we need lawyers and customs officials. Having a rule does not require a ruler. Yet, a ruler that abides by the rules and does not make the rules is not an inherent violation of people and individuals. It is just that a king often becomes a tyrant and a ruler often winds up breaking the rules. Not every good idea is an idea that everyone can support. People have moral convictions and they should not be forced to act against their convictions. 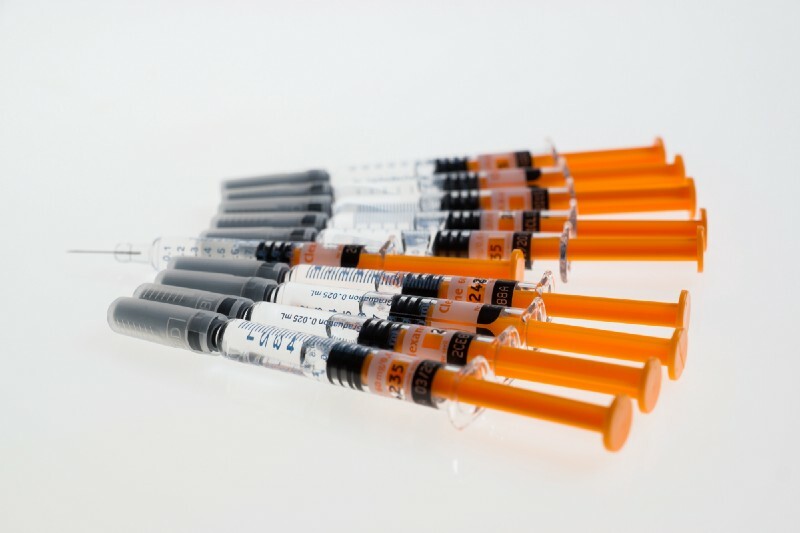 Clean needle programs are an empirically successful program for lowering drug rates and breaking up the drug abuse cycle. But a Christian who believes taking drugs is wrong should not have to support the program. Even if drug use drops in the long run, that person’s morals and convictions are violated and they should not have to support or accept the idea. In Romans 15, Paul writes that those who feel free to do something in the name of God are spiritually free to do so. Those who do not feel free are not free, even if they look over at their brothers and sisters doing these things. This is not to say that they can never do whatever it is. Rather, this means that you have to have a spiritual understanding of some sort that makes the action allowable. It is like an alcoholic with a non-alcoholic friend who orders a beer. The alcoholic does not feel free to order a beer but he might make the excuse to drink because someone else is drinking. And that is where the sin comes in, because following along without agreeing goes against their conscience. This is also why the inverse is wrong. To try to encourage someone to go against their conscience when they feel it is wrong is itself a sin because you are not helping them to feel that this thing is right, you are only helping them to do this thing. And because they feel that whatever it is is wrong, you are hurting their conscience and testimony by encouraging them to do so. This is one of the ways in which we can be stumbling blocks to the people around us. Causing them to sin against their conscience and God with our freedom. Now, this is not to say that whoever has the most hangups is justified in expecting everyone to do whatever they want because they are taking the lesser role. By accepting the view of the weaker brother, the person is not claiming themselves to be right but rather to be put at risk by the other person. This dynamic is separate from whoever is actually right and will be approved of by God at the judgment. That is one reason why I am fond of the phrase to each his own til we reach the Throne. It’s a temporary acceptance of liberality and the marketplace of ideas with the understanding that an absolute authority will one day show the truth. And that is why a good solution does not have to be universally accepted and it is why we should not try to convince everyone that we are right and that they are wrong. Trying to force other people into accepting our views and solutions is backward because it does nothing to help them see truth and use it in their own lives And we could be very wrong in what we are proposing. A marketplace of ideas where different solutions are put to work with honest hearts and good intentions is the better, and I would say more Christian, way of correcting the problems of our society. The stopadvertising subreddit attempts to inform its largely SJW and socialist leaning subscribers of the economic ties between platforms, advertisers, and users. Their aim is to silence the users by identifying the advertisers and doing so through the platform. The process stopadvertising is using is an example of how targeted boycotts can undermine the advertising model that many major businesses use. Fortunately, they do not appear to have apps set up to tell their followers what to and not to buy/read, but it illustrates a part of the mechanisms at work in current social trends. This is all voluntary association, which is why we need to be actively involved in the process or accept that big businesses and big government will mandate solutions. When an action is one of voluntary association, it innately sets itself in line with the law because no one is forced into a situation except in ways that are legal and fair. 30% of a population deciding that they will not buy a product because of the social message behind it is absolutely permissible within a just law framework. Despite the legality of this, a question remains as to whether or not it is a morally just thing* to do as it amounts to actively silencing other people. People who want to resist the pull towards intolerance need to know how to encourage tolerant speech and recognize when groups are silencing others. We need to do this not because we agree with the actions other take but because we agree with the ways they are taking action. If we do not defend voluntary association in all of its forms, we lose the concept as a human right. It then becomes a sort of black market value that is pruned of all of its unique qualities until only certain social groups retain its values, and often only for their own people. The stopadvertising subreddit is wrong in its goals but correct in its methods. For that, I would prefer to counter them with dialogue and a cohesive social movement that uses the voluntary methods while protecting the social framework that people use to communicate and socialize. The issue of legally permissible and morally/socially permissible ties into a concept of legal and social tolerance. This may in part be a perversion of definitions as the concept of tolerance has a history of being treated like the Constitution of the United States. In other words, a thing is tolerant when I like it and intolerant when I don’t like it. Occupational licensing is tied to prolonged poverty. Research by Professor Steven Horwitz at the Mercatus Research Center found that licensing fees and business regulations are one of the primary reasons why those below the poverty line lack upward mobility. UC Berkeley, CA could take a bold stand in defense of the financially vulnerable by relaxing their licensing fees. UC Berkeley could empower the financially vulnerable to provide for their families simply by making it easier for entrepreneurs to supplement their income. Occupational licensing tries to keep people safe, but it only hurts the people who need work. There are better ways to keep people safe and occupational licensing does too much harm to the people who need to feed their families and make money to get away from poverty. Only 15% of Hispanic males have licenses, versus the 27% of non-Hispanic white males. The Institute for Justice has found that the average cost for just getting a license is $209 dollars in fees, at least one exam, and approximately nine months of education and training. Without the money, Juan would have had no time and no ability to get those licenses. He only had $60.00 dollars in his wallet and he needed an interpreter to talk about his experience with the campus police. But, is licensing people the best to keep them safe? The reason we say we make people get licenses is to, “to protect health, prevent disease, and promote healthy practices among the public” but a 2014 CDC studyconducted on food poisoning incidents found that food poisoning incidents at restaurants were nearly double that of food poisoning incidents taking place at private homes. And all of these food poisoning incidents at restaurants were happening under licensed businesses. If licensed food venues are more likely to have food poisoning, occupational licensing does not keep people safer. Loosening occupational licenses have been one of the hardest things to achieve. Connecticut, Florida, Indiana, Michigan, Minnesota Missouri, New Hampshire, North Carolina, and Texas have all tried to stop or lighten up occupational licensing, but they all failed. Even though most of the efforts were raised by Republicans, it was not Democrats who fought them the hardest. It was businesses with licenses. Occupational licensing has become a bigger issue than public safety, which it admittedly fails to accomplish. Licensing has become a system in which those who have licenses can keep people out of the market. The people who we want to get jobs are literally being fined and arrested. There has been a recent splurge of boycotts and counter-boycotts centering around the anti-firearms advocate David Hogg and his critics. After Laura Ingraham made a deprecating joke about Mr. Hogg’s getting rejected from four high ranking universities, David Hogg called for a boycott of her sponsors. The challenge I see with this boycotting disagreeable free speech is that it forces us to explore the old issue of legal liberty versus social liberty. If you watch the video of Bill Maher in this article, you will see multiple people give similar iterations of the argument that free speech does not mean a guarantee to advertisers paying you to say your free speech. A philosopher from the 1800s, John Stuart Mill, argued in the book On Libertythat the true challenge against individual liberty was not the law but society and its authority over the individual. We are seeing this today as people try to influence and modify the opinions of all Americans without engaging in meaningful dialogue or debate. By trying to bend and play at the rules of our system, these debatable tactics are undermining the playingfield. This is reflected when Bill Maher said, “Effectively, it(boycotts) is the modern way of cutting off free speech”. Bill Maher is touching on the fact that this boycotting strategy is a recent development and it is aimed at preventing people with contentious ideas from speaking to the public. 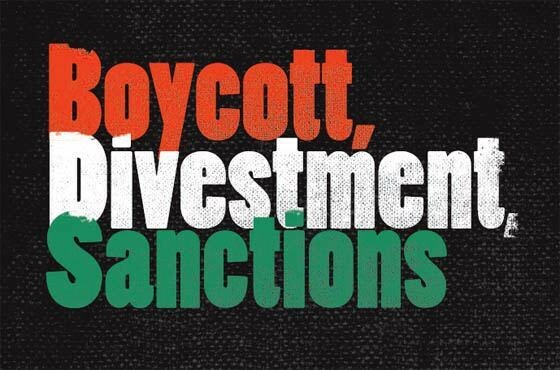 I would add that these boycotts are often times a PR attack rather than a withdrawal of service as it is debatable about how many of these boycotters and tweeters are actually doing business with these companies on a day to day basis. What strikes me as odd is that these people are all, to the best of my knowledge, in support of other social justice issues like respecting LGBTQ+ groups, the Civil Rights Act of 1964, and the equal opportunity laws. These laws go above and beyond the civil liberties espoused in the Constitution and the Amendments. They assert positive obligations on people over and above the rights protected by our core legal system. These laws run against the spirit of the argument that free speech does not guarantee the right to receive funding without social opposition because the spirit of the Civil Rights Act and similar acts is to guarantee a civil liberty that is being frustrated by voluntary association because they leverage social opinions towards forcing others to obey or suffer. I do not believe that these people are intentionally trying to create a double standard. I think that the issue is that our nation, the United States of America, was based on negative rights of what others and the government could not do and not on positive rights except when voluntarily agreed to. The United States people are not in the right frame of mind to begin reviewing and changing how our system works. There is too little respect for differing opinions. Yet, we are rarely ever ready for what needs to happen and it falls on individuals to lead the way. Out of all the intellectual social circles of the 1700s, the French salons allowed for authoritarian ostracism, via the salonnière. Could that be a variable to the violent overthrow of the French revolution? That because only the rich and accepted were allowed to speak in the French social venue, the undesirables felt compelled to violence? Britain had violence, yes, but they never resorted to killing off all of the social elite of their society, and they drank coffee, a known upper narcotic. Perhaps allowing even the least desirable of a society to have a voice prevents violence and social revolution. A plausible analogy for Macro Evolution. Here is an example to show the value of the theory of evolution. There once was a lady who had just purchased all the ingredients for a cake. She was walking home when a pickup truck hit her at 50 miles an hour. The old lady did not die and is now living off the proceeds from her recent lawsuit in Palms Beach, Miami Florida. However, this story is about a cake. The shopping bag she was carrying however was thrown into the air. The impact broke all of the soft paper bags that contained the ingredients and all the ingredients then fell into a bowl, which had fallen out of the pickup truck. There was a strong wind blowing which siphoned off the excess flour, sugar, powdered milk, it was very fortunate that the wind picked up most of the salt. The strong wind then settled down, leaving the bowl with just the right amount of what it takes to make a cake, but not before having mixed the contents up evenly. It turns out that the strong wind was preceding a storm. The rain water, which was completely untainted by pollution or the like, began to fill the bowl. It stopped at just the right time so that there was not too much water in the bowl nor was there too little, it was just right. After the storm had died down and eventually stopped, the sun came out and began to heat the bowl. Fortune shined again by way of the bowl having landed on the tarmac, which was now quite hot from the sun. This all amounted to heating and baking the cake. By now, you might be wondering how the frosting got on the cake, but there is a very good reason it got there. You see, the bag of frosting had been thrown higher than the other ingredients and had become stuck on the stop light, the one that the old lady had failed to heed. The sun, which had heated the cake, also heated the frosting, the bag that contained the frosting then became too hot and split and began to cover the cake. Fortunately, for all, the wind picked up again and blew the frosting bag away before it put too much frosting on the cake. That is how it is completely a hundred percent possible to have a cake made by nature. I hope this helps you to understand the marvelous theory of evolution. When I get the time, I think I might expand on this to show that if we change the cake to ginger bread and add some thunder, that it is possible to make the uncatchable little talking ginger bread man. A little stream of consciousness. A little too 101 for my tastes but it’s interesting. The issue of this selective marketing is that it tends to funnel the unprofitable market out of the mainstream market. This then has the effect of collecting these scattered people into generalized groups, which then creates new markets which can be marketed to. This is why we end up with these “unexpected” genres like “alternative rock” and “hipster”. Both of these genres were founded by people who were not popular in many cases did not want to be, but as more and more people became disgusted/dissatisfied with the generic mainstream, the outsider groups’ ranks would swell until a critical mass was reached. After this, the media would then be able to capitalize on the newly formed markets and turn a profit. The alternative groups will then be appropriated by marketing by the musicians who hired to produce their music. In this way, the media is able to produce alternative music that can be relied upon to appeal to the largest demographic and be the most profitable(IE, generic). This is why sub-genres will lose their edge with successive albums and new bands, because the media has managed to shape the consumer by the products produced which are then consumed. So, alternative groups and mainstream pop are actually both the products of the marketing tactics employed by the media industry leaders. As the alternative market becomes more and more mainstream, they will begin to cater more and more to the generic, non-specific consumer, rather than the esoteric consumer. The eventual effect will be that the genuine outsiders and “trendsetters” who lead the way for the alternative group will be pushed out by generic stereotypes and will either become proverbial hermits of their particular genre, “sell-out” and learn to benefit from their positions in the new generic subculture or move on to prepare the way for the next “outsider” group. So, the media is based on the principle of exclusion and inclusion. It creates deliberate gluts of generic product to maximize sales and then moves on to incorporate and assimilate the outsider groups which are formed in opposition to the generic mainstream. encourage both trendsetters and generic content to coexist, however the media’s marginal lines are set at unrealistic levels to create the ebb and flow that produces high returns as quickly as possible. This model takes advantage of the natural tendency of the “American” culture’s to create cliques of the “in crowd” and the “loser crowd”. It is a fast and violent system that encourages people to exclude and judge others with the aim of creating volatile class distinctions and ensure that the individual groups have a strong sense of loyalty to their particular culture and tastes. That is terrifying. Does God want human beings to become Übermensch who espouse and believe in the ideals that are God? An element of Übermensch is that a being rejects all reference to society’s standards and beliefs and acts on his own beliefs. Is it God’s intention that men would reject all societal norms and adopt God’s way as their own? That God desires man to become ideals of God’s values. The difference being between doing God’s will because God wants it and doing God’s will because it is right? Or, if God were to be removed from the situation, would we still act the same way that God wants us to? This in no way would be to invalidate God’s role as God or to usurp God’s authority, indeed since God’s ideals are part of God’s nature, no one could truly live God’s standards and want to replace God or see anyone else do so. Does God want people to become actual paragons of God’s ideals and standards in an intrinsic way? Or does God want human beings to accept God’s standards based solely on God’s authority? From John 15:15, we know that God does not want people to exist solely as slaves but rather as friends, not as equals but friends none the less. In 1 Timothy 1:9, we see that the reward/punishment dynamic of the OT was not an actual system for good people but rather it was a system to control ungodly people who were controlled by their vile desires. The premise of this game is to offer simple, concise rules which nominally reflect a realistic game world. Too many game get bogged down in the details and become more about the rules and less about what the players can think of. The rules are vague so that players can fill in the gaps as they appear. Therefore, the rules are simple and “special rules” are kept to a minimum. Endurance: Endurance determines how long a human can run or walk, how long they can carry or lift something, how long it takes them to recover, how long they can hold out against a zombie bite and how much general damage they can take, etc. Strength: Strength determines how much damage is done when they hit something, how much they can carry, how much they can lift, the effects that recoil has on them, how quickly they can run, etc. Dexterity: Dexterity determines how well a human can run, how well they can hit and throw, how well they can aim, how observant they are, etc. PCs are assumed to have a score of 3 for all stats. 3 is average and gives neither penalties or bonuses. Other attributes such as intelligence or charisma are noted in the character’s bio. These are up to the DM and secondly the PC. Assume average overall. The goal is to have the player fill in these gaps, to make the persuasive argument or to figure out a plan. *2 Zombie’s attack is lowered, reflects not being able to fight off the zombie but being able to make it harder for it to bite you. Humans & very smart zombies can line up shots to improve their chances of hitting. Humans who are unarmed detract 1 to 2 points from their attack roles and add the lost point to the zombie attack rolls. Training can negate these penalties. Training or lack thereof add or detract to or from a humans attack. If faced with a horde, a human can either try to single out a single zombie or fire into the horde as a whole. If firing at the horde, a human can shoot twice as fast but sacrifices adds. Some weapons are better for this than others are. Pistol: Gives +1 ATK up to 20 feet. Submachine Gun: Gets +2 up to 24 FT. Assault Rifle: If set to semi-automatic counts as a rifle. If set to burst gets +3 ATK up to 24 FT.
*A shotgun with a slug round counts as a rifle, it receives a -1 ATK if the barrel is a smooth bore. A zombie suffering from a blow is slowed, a push back can either push a zombie back or even knock it to the floor but it will get back up and continue to attack. A dismembering blow will either reduce a zombie’s ability to move or its attack, if it has been disemboweled, both its movement and attack will be reduced. A killing blow will kill a zombie, this means a head shot or a blow that severs the head, bear in mind that severing the head still leaves the head active and if the head can still bite. The difference between a bite and a major bite is the degree of the wound, meaning how quickly the character will die. A character who has been bitten will need to dress the wound to keep from bleeding out, especially if they suffered a major bite. Zombies move half as fast as humans, except when frenzied. Fast zombies move as fast as humans can jog. A zombie moves at a shuffle except when frenzied, frenzy can only happen when a zombie is excited, this can only happen when a zombie is very close and aware of a human; for instance if a zombie is behind a fence and you taunt it, it can become frenzied or if a zombie just missed grappling a human. The smarter a zombie, the lower its chances of frenzying. If a zombie lunges and misses, it falls over and has to get up again. Players will receive RPGing Karma points; these will be used for making better future characters or to modify rolls. PCs who act out of character will receive negative points that will make the player’s future character less effective, while good roleplaying will result in positive story points that will go towards making the player’s future character more effective. Players can use karma points to modify their rolls or rolls against their characters. First thought, think Silent Hill. There is a bizarre world wide incident. There are sporadic shifts in reality, where people are transferred to a shadowy mirror realm of the world. In this world, there are two commonly known types of individuals. Those who are unaffected, and those who are driven by their id. The id driven are little more than monstrous maniacs, acting out their fantasies and obsessions without restraint. Within a month, the worlds population was reduced by a third and it continues to decline. Worse still for those who maintain their sanity, the ids have learned about the sane and their immunity in the real world. Some are merely envious,some actually hate them. These feelings of animosity have caused the ids to actively hunt the sane in the shadow realm, regardless of their feelings in the real world. Second installment, the dream world is beginning to take shape, the dead exist in sporadic ghost-like forms, bizarre creatures wander about, trees wave to and fro when there is no wind. For the third installment, there are the dream weavers, people who can create beings and environments from their imaginations, allowing them, and those around them, to live out their dreams in the shadow realm. Some are rumored to be able to pull people into the dream realm without the global shift. Possible modifications, make it about the id, ego and super-ego.